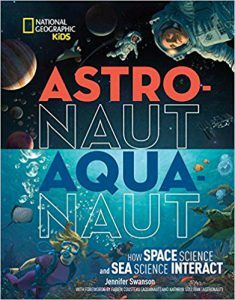 Astronaut-Aquanaut is published by National Geographic Kids. This book provides readers with an opportunity to know more about how outer space and deep oceans are alike but different. Readers will learn about how an astronaut and an aquanaut prepare to fly to the moon or dive deep underwater. In celebration of her book, we spoke to Jennifer about her writing journey, What her book is all about and the inspiration for writing about science and technology. Tune in to learn more! The journey from the deepest trenches in the oceans to the farthest humans have ventured into space and learn what it takes to explore the extremes. You might just be surprised by how similar the domains of ASTRONAUTS and AQUANAUTS really are. Click the Amazon link below to know more about Astronaut-Aquanaut, read reviews and purchase your own copy. Why is it important for young readers to have books about STEM? 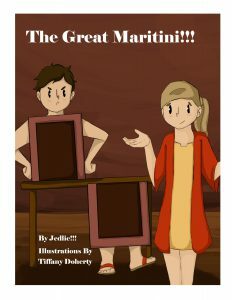 Some other STEM books created by Jennifer, interesting facts about her books and much more. Thank you, Jennifer, for joining us and for sharing your wonderful book with us! Jennifer Swanson is a gem, is she not? Be sure to check out her bookAstronaut-Aquanaut and stay tuned for the next edition of the Reading with Your Kids Podcast!